1st State BIKES: What would it say to America if McDonalds became "Bike Friendly"? What would it say to America if McDonalds became "Bike Friendly"? 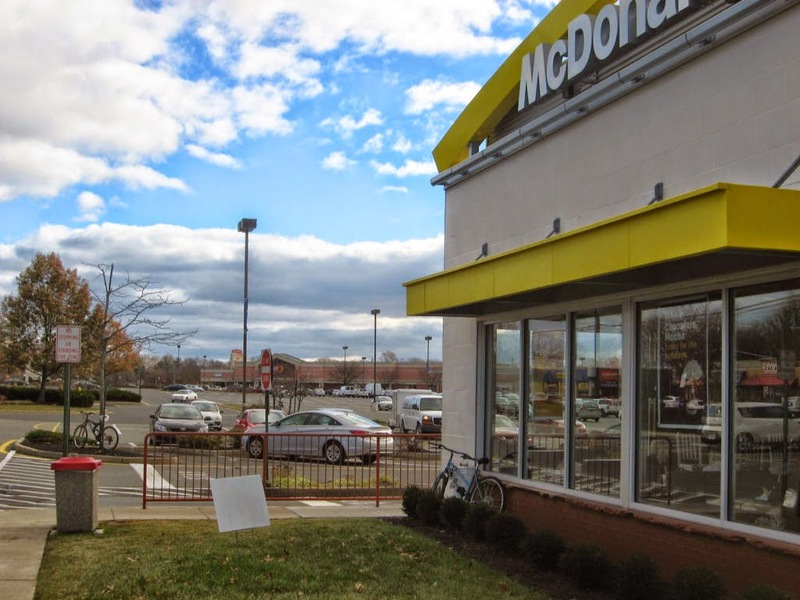 From WalkBikeJersey Blog -- If you're "bike aware" (and likely you are because you're reading this blog) and have ever visited a fast food restaurant you've undoubtedly seen bikes haphazardly parked to anything secure all around the restaurant site. A vast majority of these bikes are undoubtedly owned by members of restaurant staff who depend on their bikes to get to their jobs in the restaurant. 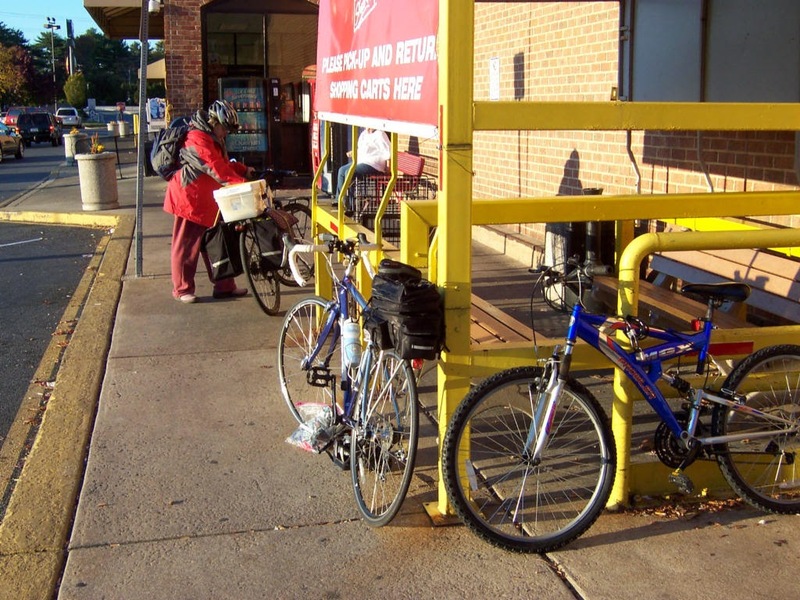 Shop Rite in S. Newark remains ignorant when it comes to bicyclist's needs. Several requests to management over the years still hasn't produced bike parking, no matter how many bikes are locked around outside. NCC ordinances that require bike parking only apply to new construction.